A new lecture theatre and recital room to seat 120 (Berman Guedes Stretton, 2011). This contemporary building has been fitted into the Nun’s Garden in the College grounds. 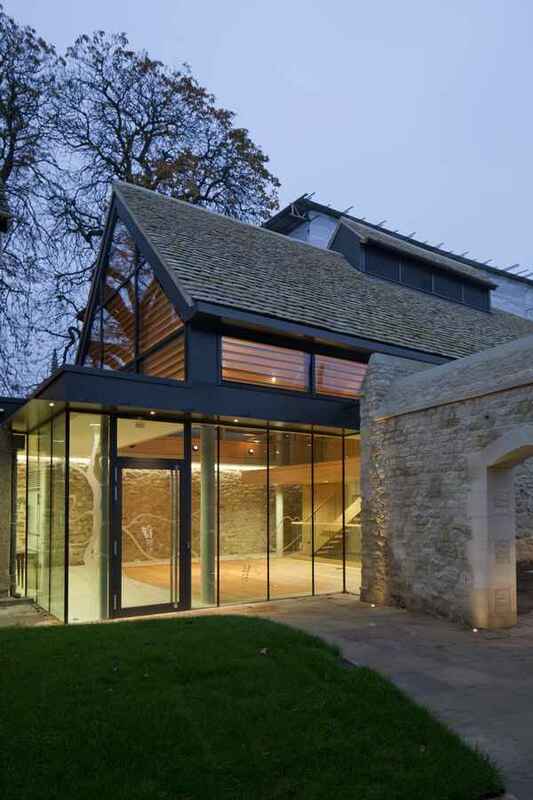 Its stone roof harmonises with historic stone walls, incorporated into the design, and floats on a delicate steel and glass structure forming the entrance and clerestory windows.